>> To most, including me, it (PASE) is just "the other side I rarely use". ... folks do not know and do not care PASE runs Java, PHP, SAP, and many other popular products on IBM i. ... only when you cross paths from "consumer" to "provider" does PASE become a mountain of knowledge to scale. IBM i PASE Option 33 — installed on your IBM i machine, quietly running many popular products on IBM i (Java, PHP, SAP, etc. ), but often shrouded in all the mystery of a good Indiana Jones movie.For those wishing to understand PASE with possibility of becoming a “provider” of PASE products (PHP, Ruby, etc. 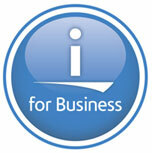 ), you need a basic understanding of PASE expanded/enhanced IBM i job/processes. "IBM i process/job shared kernel trick"
programs using the SAME SLIC kernel ("the trick"). PASE/AIX compiled binaries are NOT emulated in any way, but instead run directly on same Power PC hardware processor (in same IBM i job/process due to “shared” SLIC). PASE will only allow you to run one model 32 or 64 in a single process/job (because AIX only allows one model in single process). HEY, isn’t about time you moved up beyond V5R4??? Most everything else to reach expanded knowledge you get reading IBM i manuals (ILE side) and the AIX manuals (PASE side).